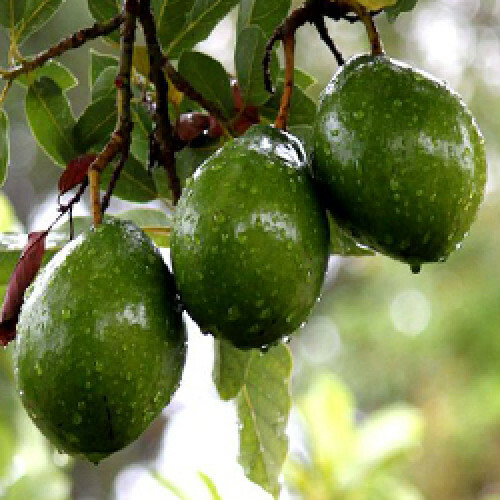 Avocado Carrier Oil contains Vitamins A, B1, B2, D, E, and Beta carotene. It is classified as a monounsaturated oil and is best suited for dry skin conditions in topical applications. Color: Pale yellow to golden yellow liquid. Aromatic Description: Avocado Carrier Oil has very little scent characteristic of most carrier oils. Common Uses: Small amounts of Avocado Oil is typically added to other carrier oils in order to enrich protein and vitamin content. It is used predominantly by manufacturers (particularly great in soaps, lotions and creams) and massage therapists. Consistency: Typical and Characteristic of Carrier Oils. Absorption: Avocado Carrier Oil will leave a sticky, waxy feel if applied topically to large areas of skin.